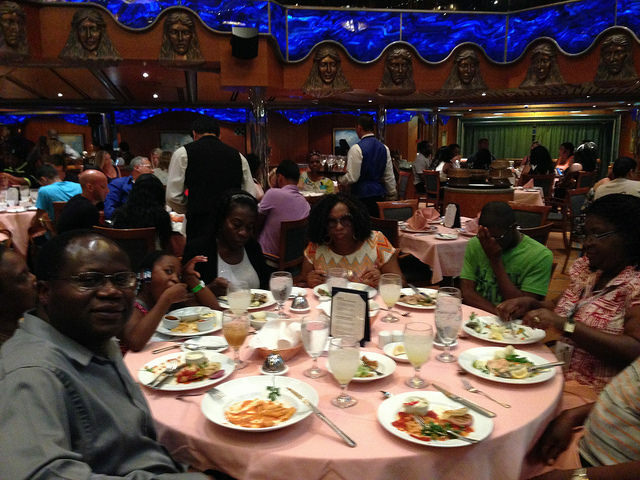 Without much argument, a family cruise vacation is the best type of getaway you can give your loves ones. If you want to give your family value for money, an exciting getaway and make lasting memories, then you should choose an inclusive family cruise. 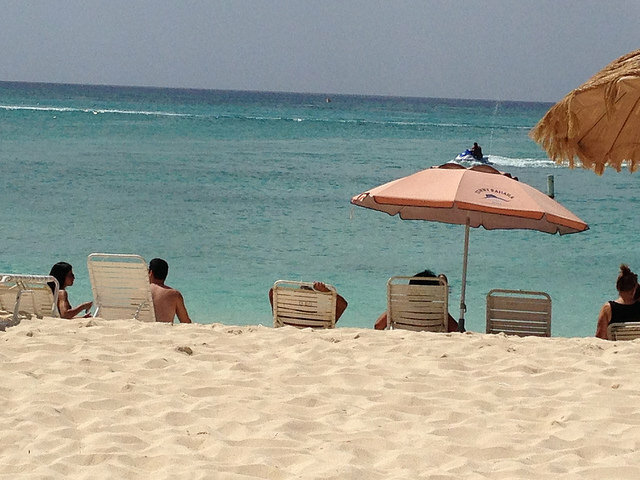 No other vacation comes close to the offering you get with a cruise ship vacation. Think for a minute about how much you would pay to have a "successful" vacation on land. Consider the accommodations, the entertainment and the meals. Wow! Those things quickly add up to a pretty penny. Yes you will come away feeling great (more often than not), but you would have spent more than necessary to have a great vacation at a comfortable price. Now think about a family cruise vacation package. Depending on when you travel, you can book four family members on a 5-day Caribbean cruise ship vacation for less than U$2,000. With several cruise lines working to make more cruising opportunities available within driving distances to families, you may be lucky to avoid flying to get to the cruise port. Therein lies a big saving for your family. After booking your cruise package, you may only need to pay for gas, parking and onboard gratuities which can cost anywhere from $12 - $20 per-person per-day. This depends on the cruise line and type of accommodation. 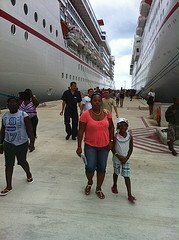 Even with these additional charges, you will still come out with a great value for money on your family cruise getaway. You may plan a land vacation, which takes you to different countries. However, you will need to pack and unpack, hop on and off airplanes or trains and spend a fortune. With a cruise ship vacation you will unpack once, but you get to visit several new countries on one trip. Depending on the length of your itinerary, you may visit one or several new places. Take this for example: This summer my family will fly to San Juan, Puerto Rico, board a Carnival ship and visit five other countries - St. Thomas, USVI; Barbados; St. Kitts; St. Lucia; and St. Maarten/St. Martin. It will only cost us the cruise fare and one airfare, but we get to explore the cultures of five different nations. How cool is that? This is something that your family will enjoy and appreciate. Buy a cruise ticket for each family member and that ends your worries about how to feed them, especially those teenagers. Your cruise ticket opens the door to more food than any one of them can eat, plus there is a wide variety of cuisines onboard each cruise ship. Your family members will find enough of the food they like, at multiple times throughout the day and you do not need to stress about how much extra it is costing you. It is included. Now that is a winner for any family! The cruise liner your family will sail on comes with a crew of men and women dedicated to making you happy, keeping you entertained and having you wanting more. 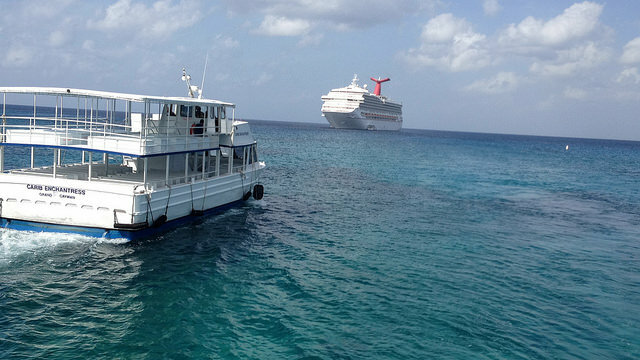 Consequently, there is an entertainment team on your ship that plans activities for your family's enjoyment. You may choose to get involved or find other things to do as a family. 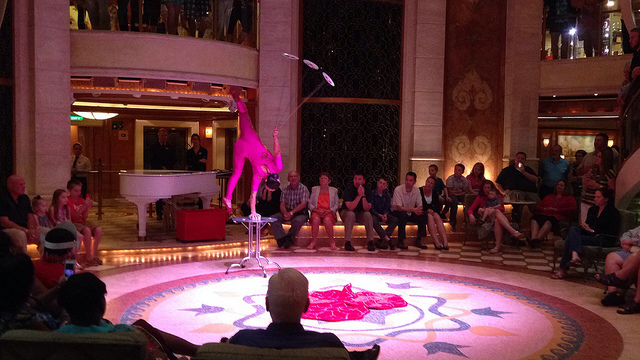 Cruise ships are now so modern that you will find some of the most amazing things to do at sea. Think skydiving, bumper cars, skating, rock climbing, video centers, movies under the stars, basketball courts, ping pong, and so much more. In addition to planned or unplanned activities, your family will experience Broadway and Las Vegas-style shows at night in the main theater aboard your cruise liner. Do I need to say more? 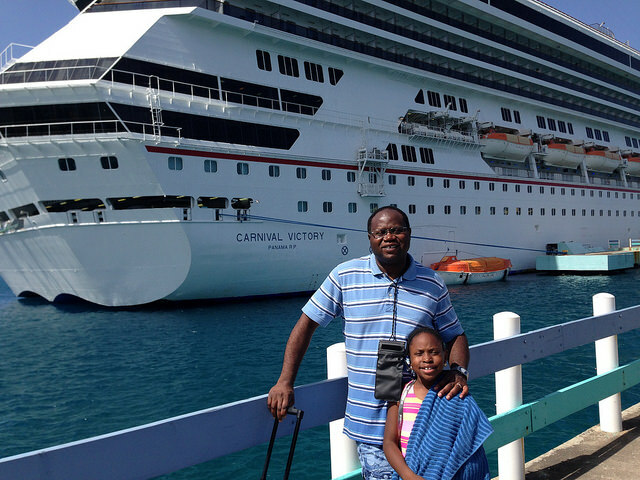 I have shared why a family cruise vacation makes sense. In fact, inclusive cruises work for all members of your family. Take the grandparents and the children too. There will be things and places for everyone to do and explore. Note: If you are uncertain about whether to book a cruise for your family, I encourage you to try a short cruise vacation at first. You may cruise for three or four days to get a feel for things. After that, you will want to take longer voyages. That happened to my family. We started out with a five (5) day cruise and now we only want to do seven day cruises. Give your family a vacation which each member will remember. Find a travel professional and book your family's cruise ship vacation today. 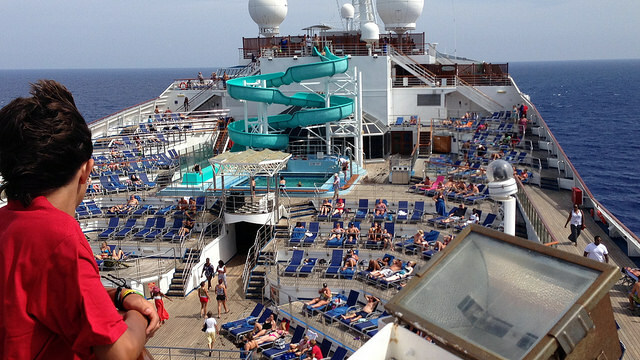 You may even book your cruise with us by visiting FamilyFunGetaways.net. Or use the form above to send us a cruise quote request and we will help you plan an exciting family cruise vacation. It is time for fun! We will wait to hear from you.